DIY.org is a neat website on which kids can find dozens of DIY projects that they can do on their own or with their parents. DIY.org provides videos and instructions on how to do the projects. After going through the directions kids then try to complete the project. When they've completed the project they can take a picture and upload it to their DIY.org portfolios. Kids can share examples of their projects through DIY.org. Kids cannot register on DIY.org without a parent's permission. Parents have their own DIY.org dashboards that they can use to track the activities of their children. Children registered on DIY.org have aliases and cartoon avatar pictures. DIY.org could be a great source of project ideas for parents and their children to work on together. 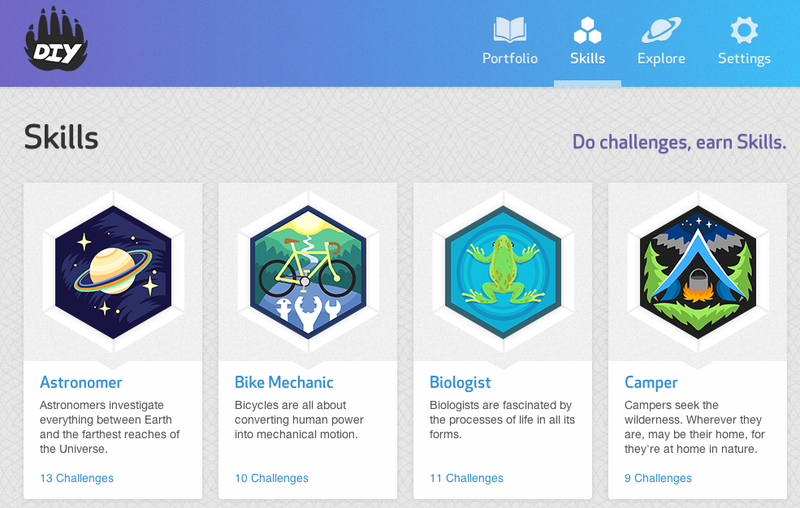 Through the project challenges students can learn about biology, electricity, music, computer science, physics, geography, and more.